In 2014, an unlikely discovery was made in the Judith River Formation of Montana: a massive Ankylosaurid, later determined by lead researchers at the Royal Ontario Museum to be the new species (Zuul crurivastator). Named for its uncanny resemblance to the iconic monster in the 1984 Ghostbusters film, Zuul crurivastator (“destroyer of shins”) is one of the most complete Ankylosaurids ever found. First published in Royal Society Open Science by Victoria M. Arbour and David C. Evans in May of 2017, Zuul has already contributed to the study of this unusual family of dinosaurs. With continuing research on the largely intact axial skeleton and soft tissue preservation, Zuul will continue to provide valuable information on Ankylosaurs and the Late Cretaceous world in which they lived. 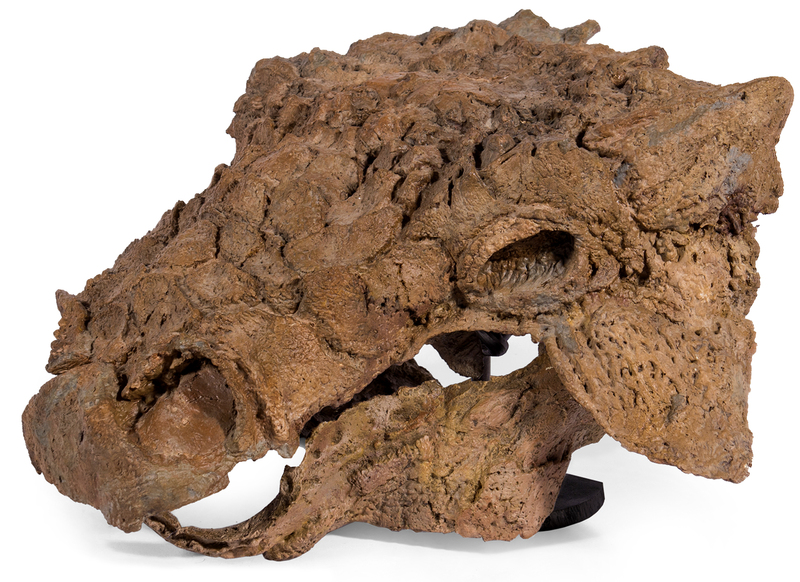 Now, for the first time, Theropoda Expeditions, in collaboration with the Royal Ontario Museum are offering exclusive museum quality replicas of the Zuul crurivastator skull. Expertly direct cast in high density resin, hand-painted, and mounted on a custom steel base, Zuul skull replicas are ideal for research and exhibition. 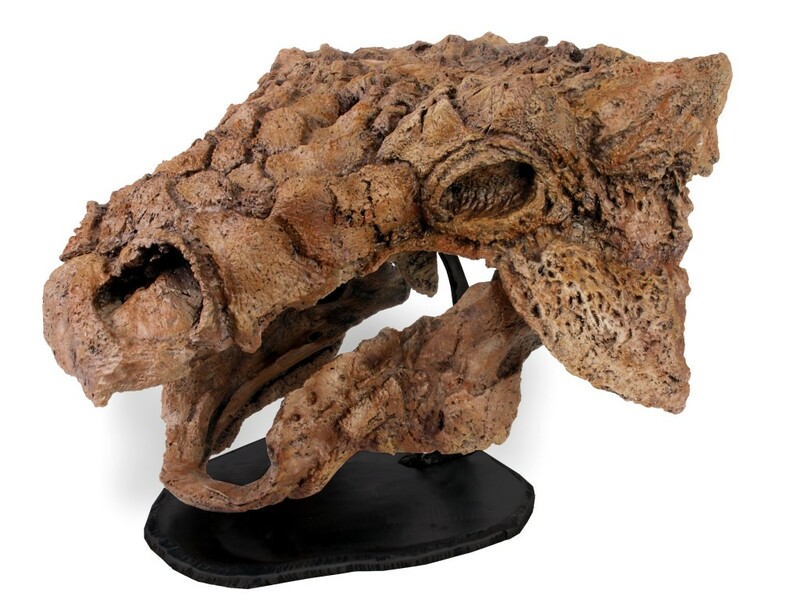 The Zuul skull replica is an exclusive, museum endorsed, direct cast and only available through Theropoda Expeditions. A portion of the proceeds of sales to directly benefit the Royal Ontario Museum. The exclusive Zuul replica skull mount is a direct cast of the original Zuul skull and is cast in high density resin. With incredible fidelity to the original skull and hand-painted to match the original fossil, this museum quality replica is for exhibition and research. The base is a custom powder-coated steel base, which easily and safely holds the skull for exhibition. The upper and lower jaws are cast articulated making setup on the stand as easy as possible. Please note your replica may vary slightly from the picture because it is hand-painted to match the original patina of the fossil. Total height of the mount is 14in.